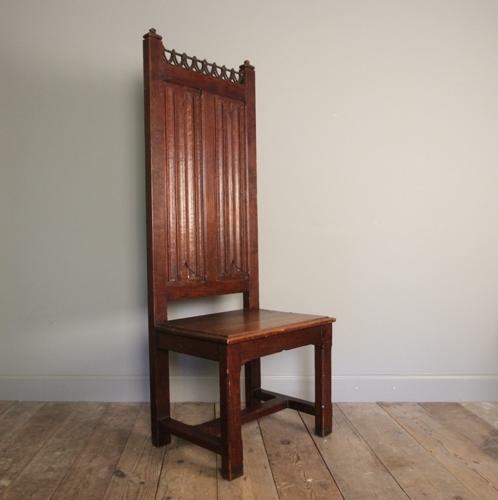 A Pugin style Oak hall chair of grand scale, having a high back with beautiful linen fold carved decoration, The whole peg jointed with a solid seat and raised on chamfered legs with adjoining stretcher rails. Excellent original condition throughout. English, late 19th century.